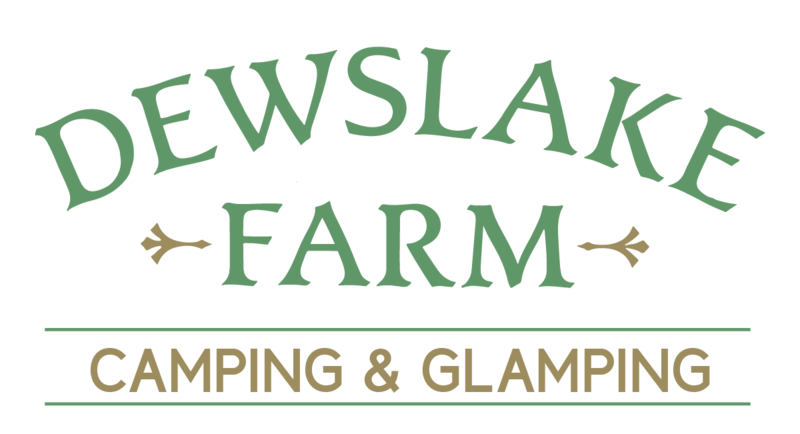 In Addition to our camping here at Dews Lake, we also offer the option of full-site hire for events such as Festival style weddings, and back in May we hosted Lindsay and Will’s fun, intimate ceremony. They took over the site for the weekend, including the 3 Bunkhouse Cabins and creating a small Bell Tent village for guests to stay and chill out. We have facilities for guests including a kitchen and hot showers and it was a great addition to have a bell tent especially for wedding preparations and pampering. 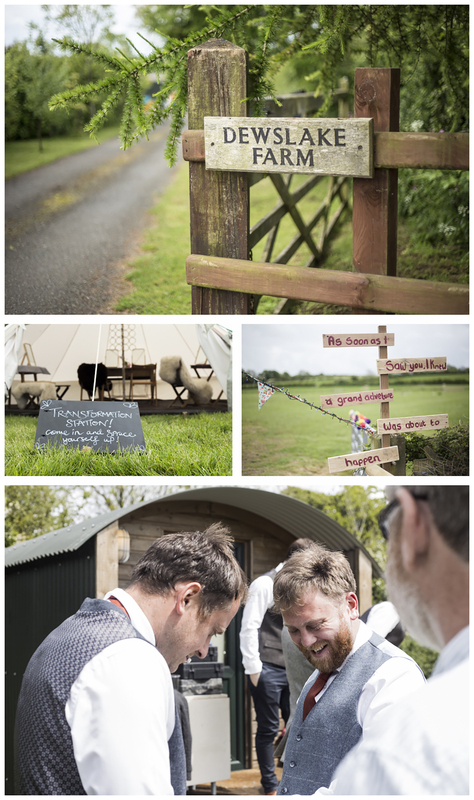 Lindsay and Will added lots of personal touches such as their own sign posts around the campsite with quotes on, and rustic decorations-flower pots and crates-outside the main marquee. 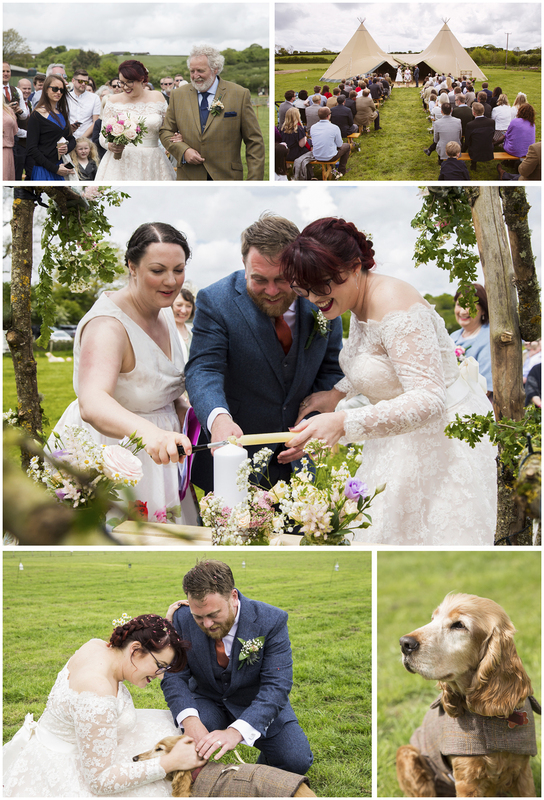 We were so lucky with the weather and the ceremony took place in one of the fields, with guests sat outside the Marquee. As we are a dog-friendly campsite the happy couple were able to have their dog at the event too which is such a lovely touch. 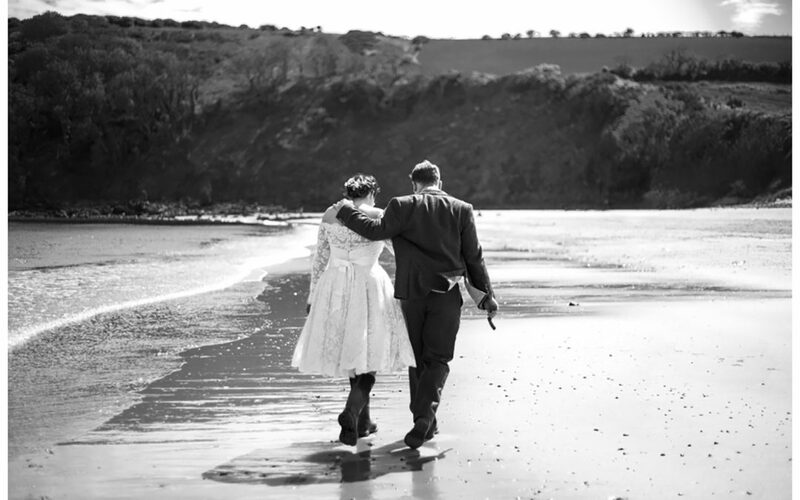 After the ceremony their photographer Christian took them to Freshwater East-our closest beach for some relaxed photos (and a dog walk) so they had a chance to have some beach time as well as enjoy the farm. The reception was held in the Marquee, with catering by the lovely ladies at Teacup parties and events this was followed by “the best pizza you’ll ever eat” from Dusty Knuckles. Guests then spilled out onto the field to play lawn games and sit around our fire pits to enjoy the last of the evening light. We have plenty of space here so couples who want to entertain their guests can spread out with garden activities separate from their camping area. Music was provided by Jo90 and the guests danced into the evening before heading back to the Bell Tents and Cabins. Many thanks to Christian Felices for sharing his images of the event, and Firefly camping for doing an amazing job of pitching up on site. 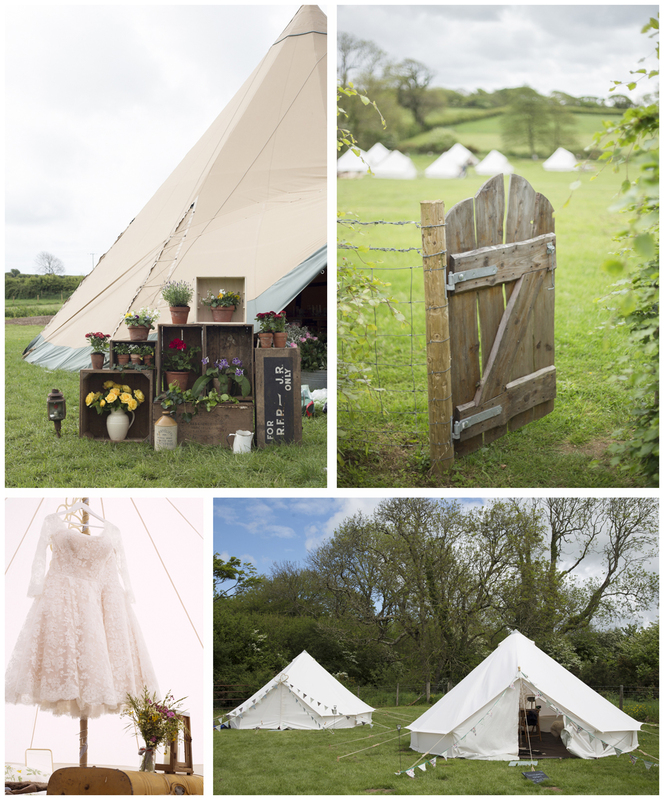 For further inquiries about Full Site hire for festival style weddings, fares and gatherings you can contact us here.